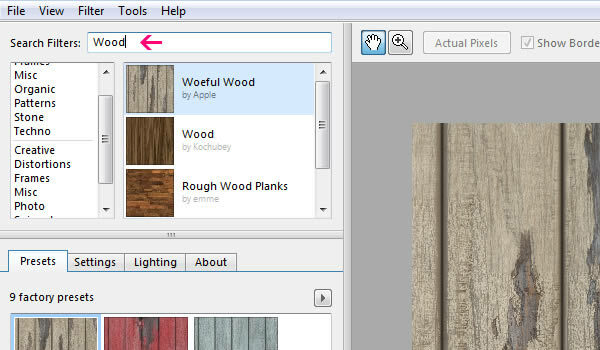 Filter Forge is a powerful third-party plugin that allows you to apply over 4,000 amazing effects to your images, and even create your own. 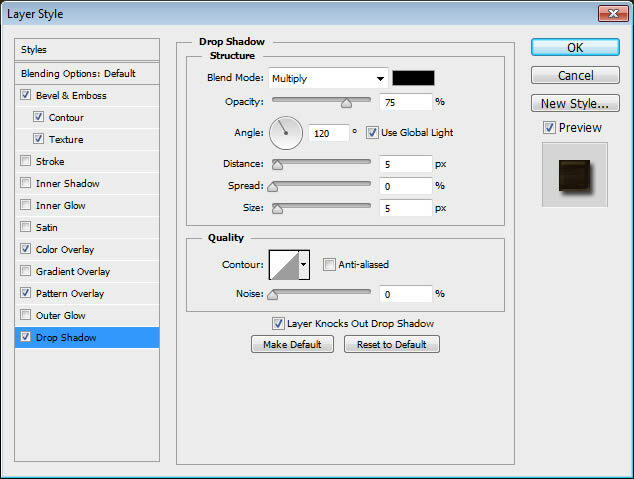 To learn more about Filter Forge, you can visit their website, download the trial version of the software, or check out their filter gallery. 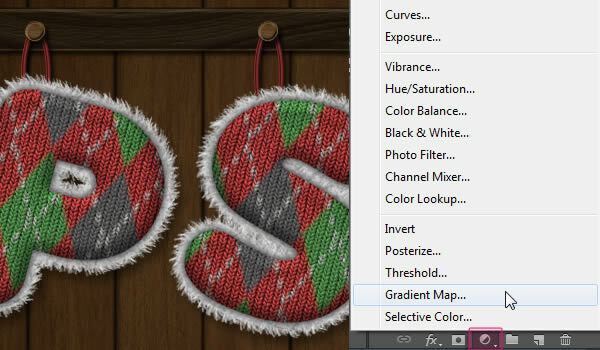 Editor’s note: This tutorial was sponsored by Filter Forge. 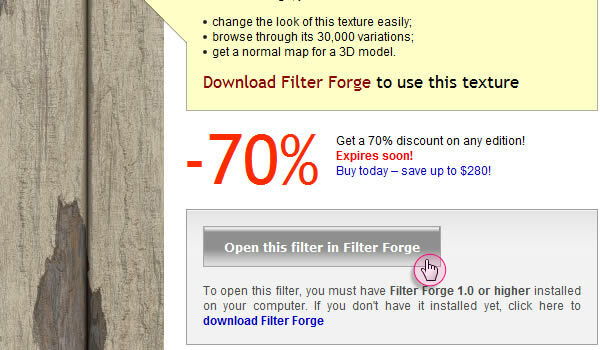 First, you need to download Filter Forge from the plugin’s website. Once you download it, run the installation file and that’s it! 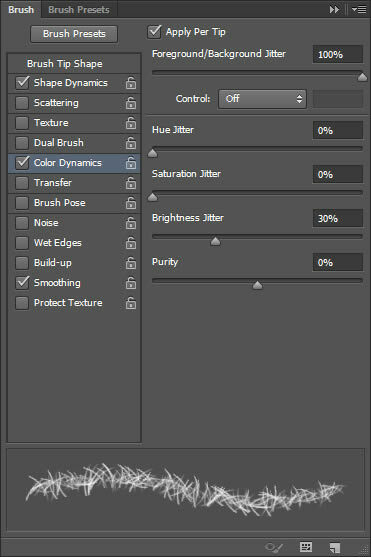 It will be added inside Photoshop under the Filter menu. Super easy to install. 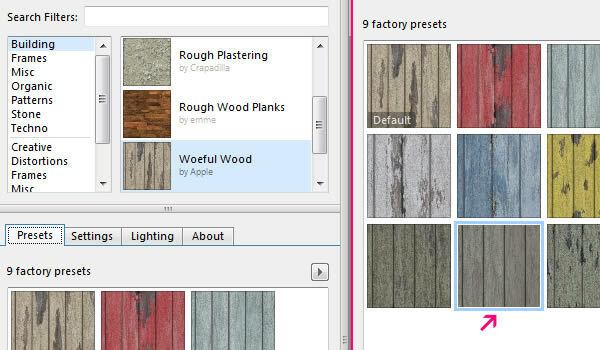 To launch the plugin and start adding some filters, go to Filter > Filter Forge > Filter Forge 3. 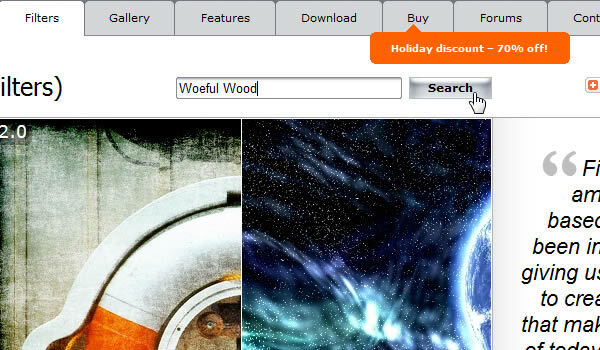 You’ll find a couple of already existing filters under a number of categories. 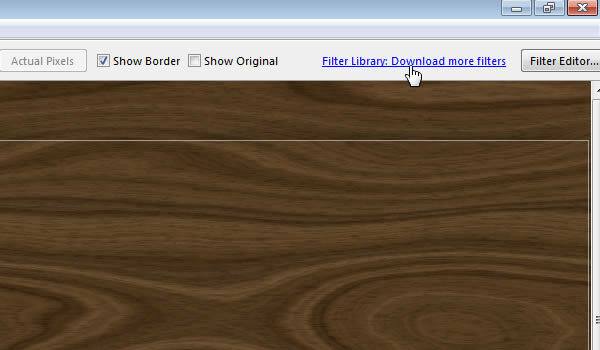 You’ll also find a “Filter Library: Download more filters” link to the top right side of the plugin’s window. Click the link to start downloading filters. The link will take you to the Filters page on the plugin’s website. 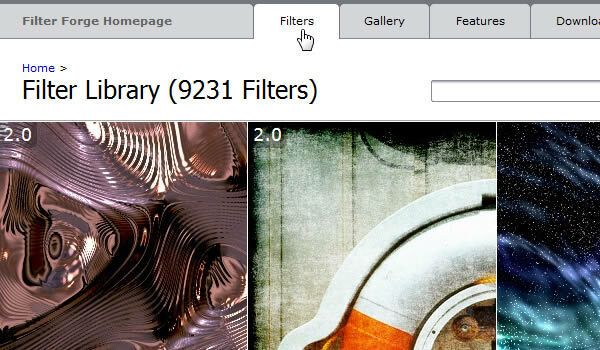 You can search for almost any filter among the amazing 9000+ filters available. 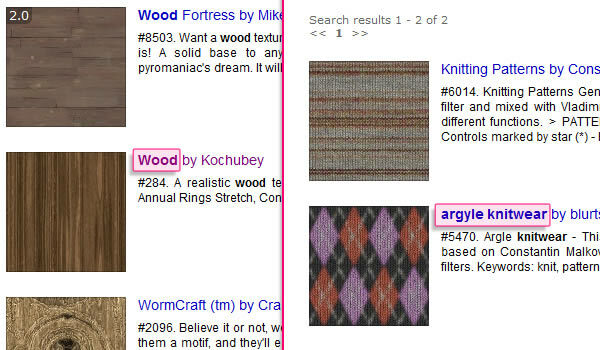 Just type the keywords you want to find filters for, and click the Search button. Once you get your search results, click the filter’s name. This will open the filter’s page. Click the “Open this filter in Filter Forge” button to install the filter. If you get a message asking you to confirm, just click Yes or OK. The Filter will then be added to the other filters you have. You can search for the downloaded filters by typing their names or a related keyword in the plugin’s search box. Make sure to download all the filters in the Tutorial Assets section before you continue with the tutorial. You might need to load the Contours used in some of the Layer Styles below. 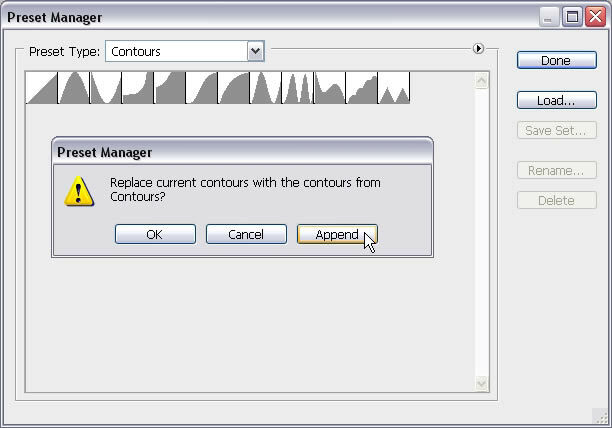 To do so, go to Edit > Preset Manager, and choose Contours from the Preset Type drop down menu. Click Append to add the new contours to the existing ones. Create a new 1280 x 1024 px document. 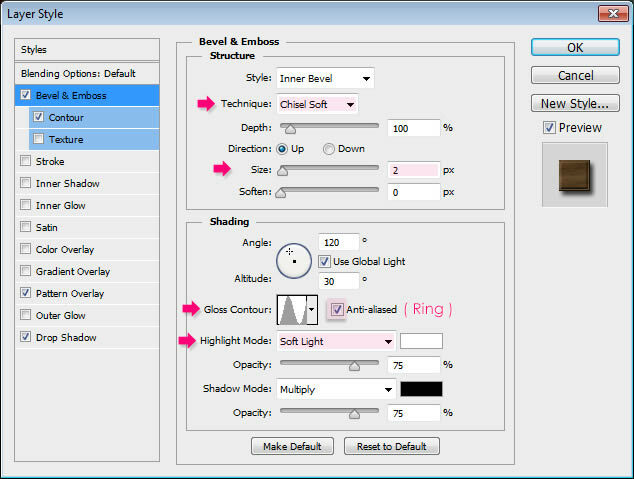 Pick the Gradient Tool and click the Radial Gradient icon in the Options bar. 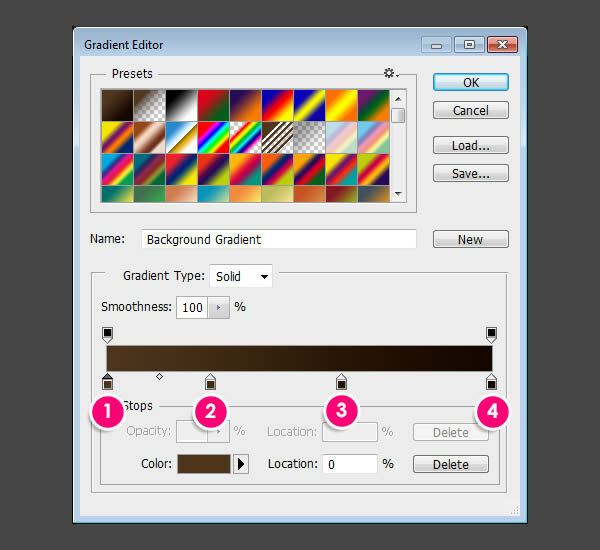 Then, click the Gradient box to create the gradient. Then, fill the background with this gradient by clicking and dragging from the center of the document to one of the corners. 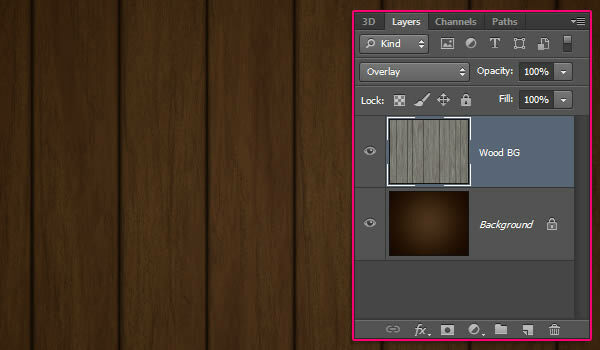 Create a new layer and call it “Wood BG”. 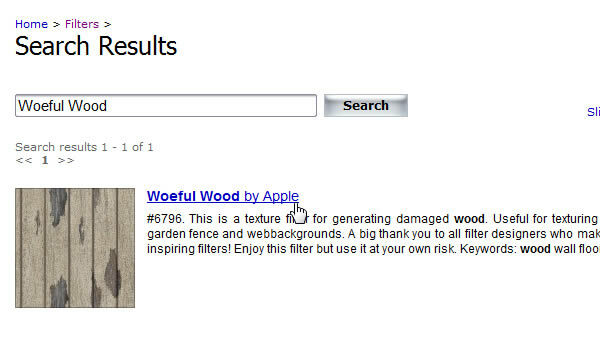 Go to Filter > Filter Forge > Filter Forge 3, and under the Building category, click the Woeful Wood filter. 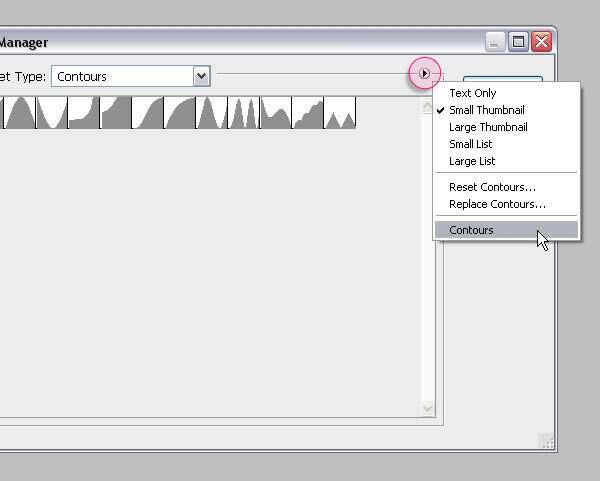 Then, under the Presets tab, choose the second preset from the last row. 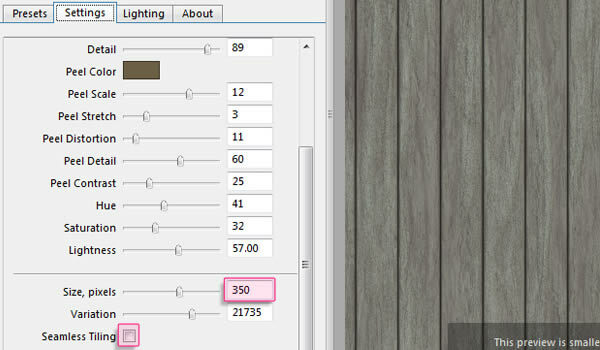 Click the Settings tab and scroll down to change the Size, pixels to 350, and un-check the Seamless Tiling box (since this is a texture not a pattern). Click the Apply button in the bottom right corner, and wait for the filter to be applied. 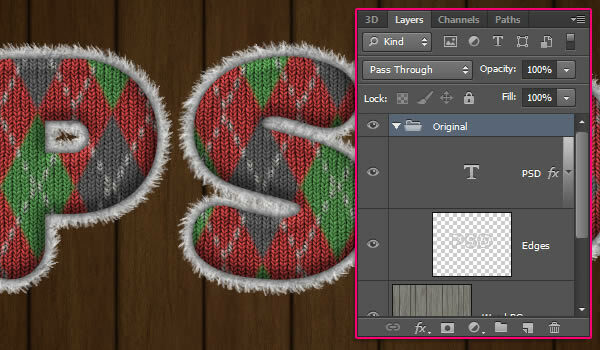 This might take some time, but you’ll get an amazing texture with great detailing. 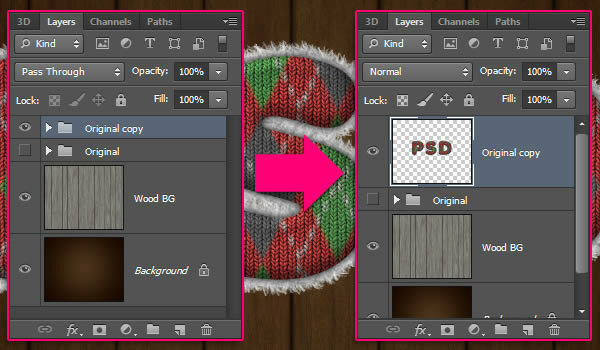 Change the “Wood BG” layer’s Blend Mode to Overlay. Create a new 600 x 600 px document. 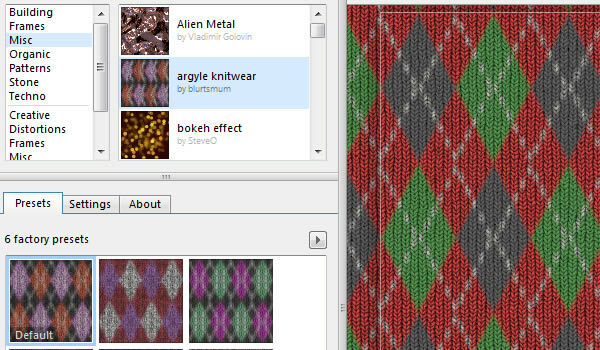 Open Filter Forge again, and click the “argyle knitwear” filter under the Misc category. We are going to use the default preset, so go ahead and click the Settings tab to change a couple of values. 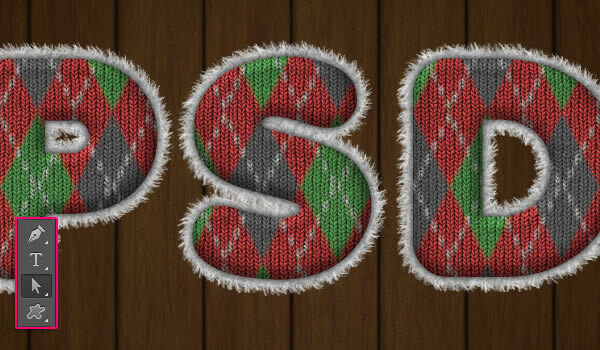 The cool thing about this filter is that it creates a realistic looking knitted texture. 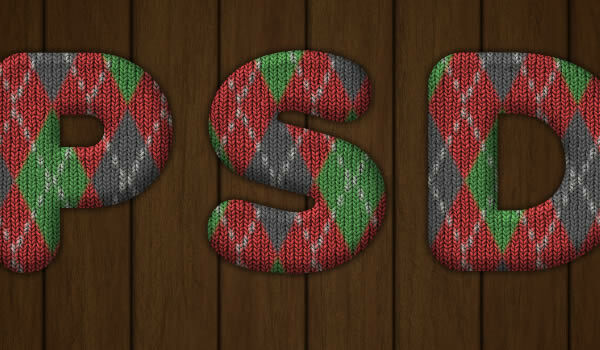 But what’s even cooler, is that you can choose your own colors and make it a seamless pattern! For this effect, we’ll be using a red color #FF0000, a green color #1E7718, a dark gray color #2C2C2C, and the default light beige color #FBFBFB. You can use any colors you like. 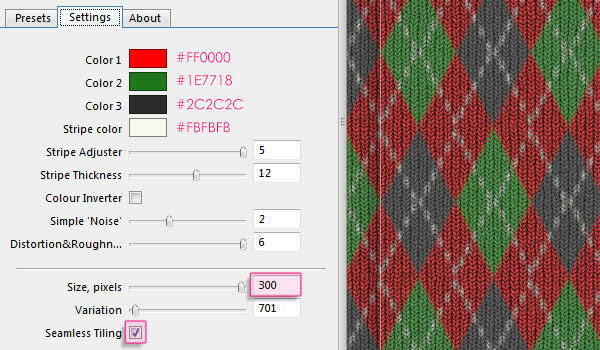 Once you’re done with the colors, change the Size, pixels value to 300, and check the Seamless Tiling box to create a seamless pattern. 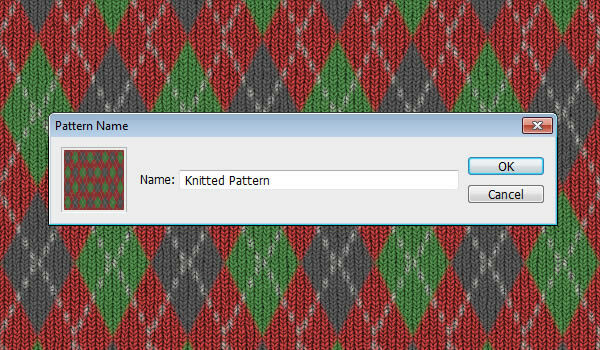 After the filter is applied, go to Edit > Define Pattern, and type a name for the pattern you created. Close this document (save it if you like), then go back to the original document. 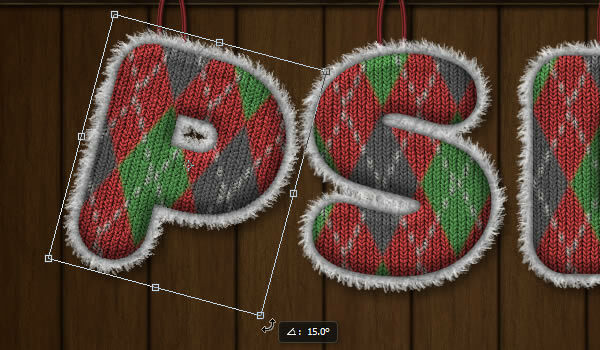 Bevel and Emboss: Change the Size to 13, the Soften to 2, and check the Anti-aliased box. Then, change the Highlight Mode to Overlay and the Shadow Mode color to #bfbfbf. Contour: Just check the Anti-aliased box. 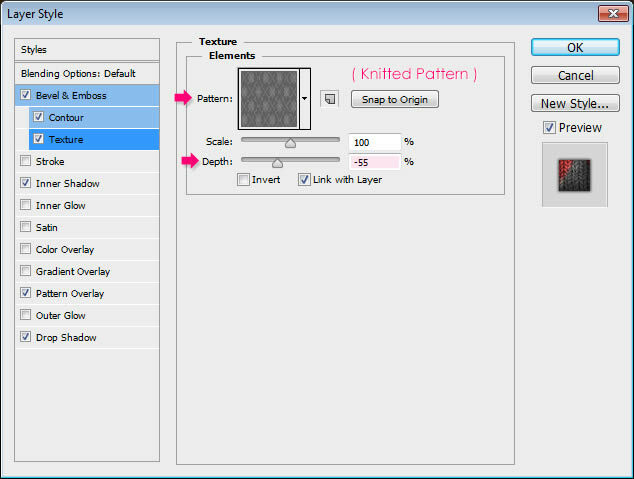 Texture: Choose the Knitted Pattern and change the Depth to -55. 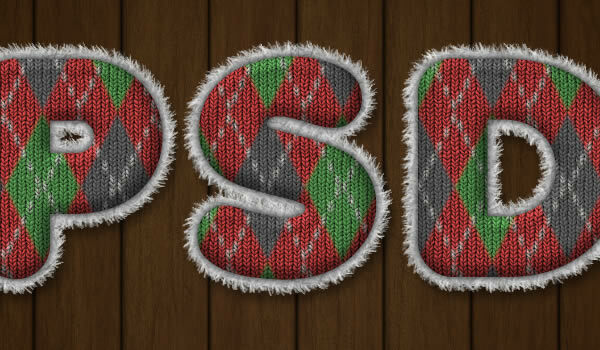 This will create a 3D knitted effect using the pattern. Inner Shadow: Change the Distance to 0 and the Size to 27. 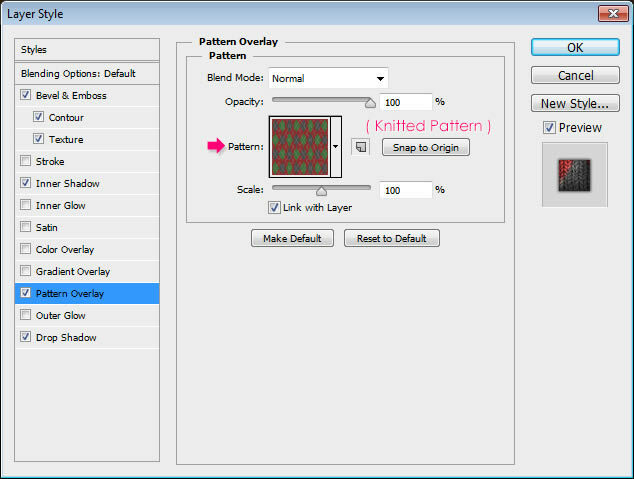 Pattern Overlay: Choose the Knitted Pattern once again. This will apply the actual colored pattern. 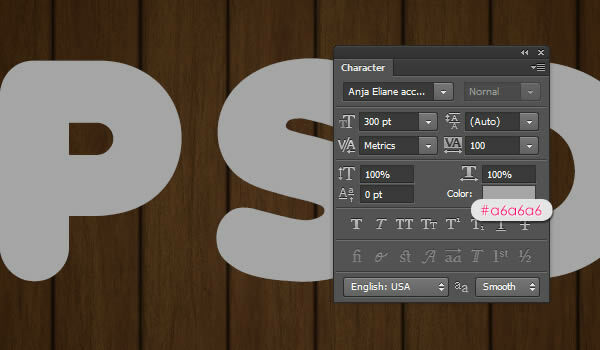 Drop Shadow: Change the Opacity to 62, un-check the Use Global Light box to change the Angle to -142, change the Distance to 0, the Spread to 21, and the Size to 9. 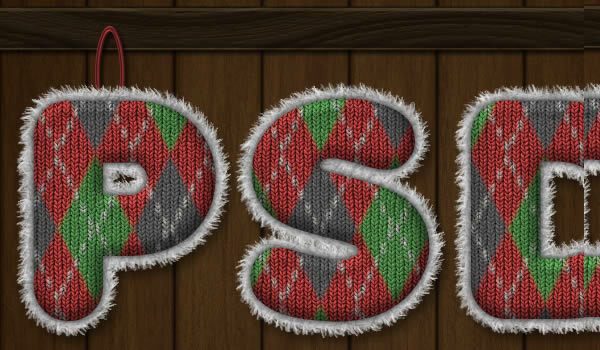 This will give the text a 3D look. 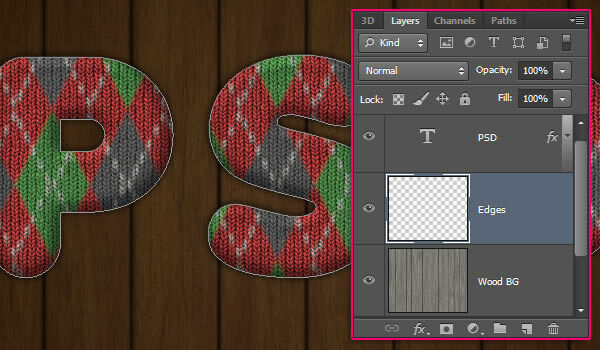 Create a new layer right below the text layer and call it “Edges”. 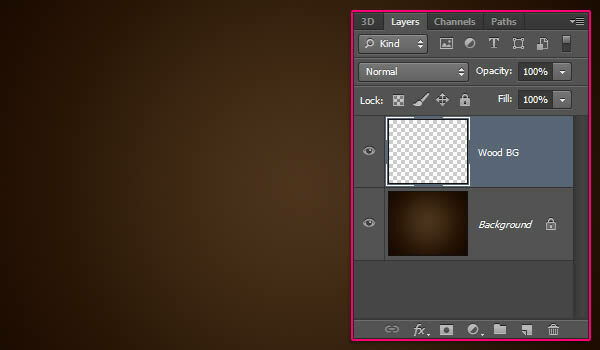 Set the Foreground color to #f1f1f1 and the Background color to #a6a6a6. Now place the mouse cursor anywhere inside the document, make sure that the Brush Tool is still active, and hit the Enter/Return key to stroke the path. 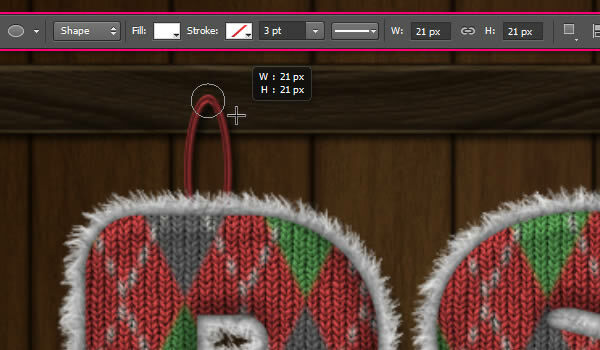 (Alternatively, you can pick the Direct Selection Tool, right click the work path, choose Stroke Path. 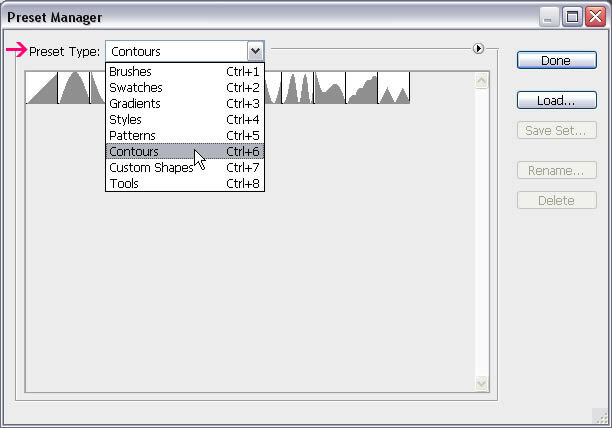 Then, choose Brush from the Tool drop down menu, and click OK). As you can tell, the edges are quite sparse. So hit the Enter/Return key a couple more times until you get a thick fluffy stroke. When you’re satisfied with the edges, pick the Direct Selection Tool and hit the Enter/ Return key one last time to get rid of the work path. Select the text layer and the “Edges” layer (click one then Command/Ctrl + Click the other), and group them (Layer > Group Layers). 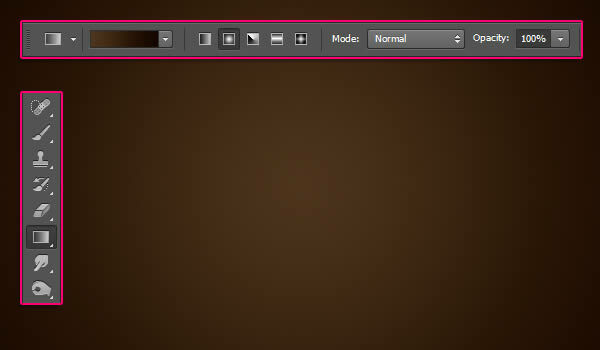 Duplicate the group and make the original one invisible by clicking the eye icon next to it. This way we can keep a copy of the original text in case we need it later, as we are going to rasterize the duplicate group. So click the copy group now, and go to Layer > Merge Group (Command/Ctrl + E). 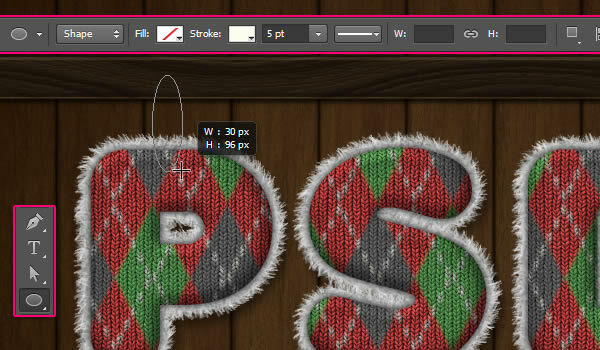 Double click the rasterized layer and apply a Drop Shadow effect by changing the Opacity to 45, the Distance to 10 and the Size to 10. 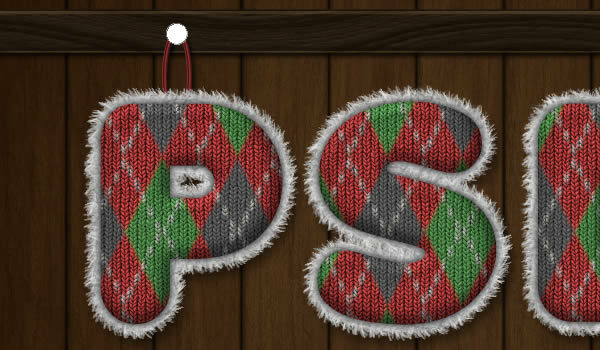 This will add some more depth to the text. Create a new 600 x 600 document and open Filter Forge one last time. 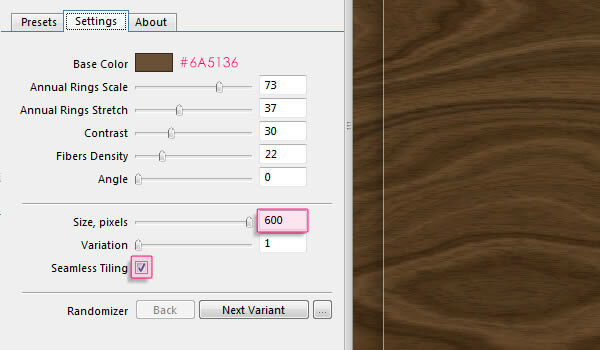 Click the Wood filter and choose the last preset in the first row. 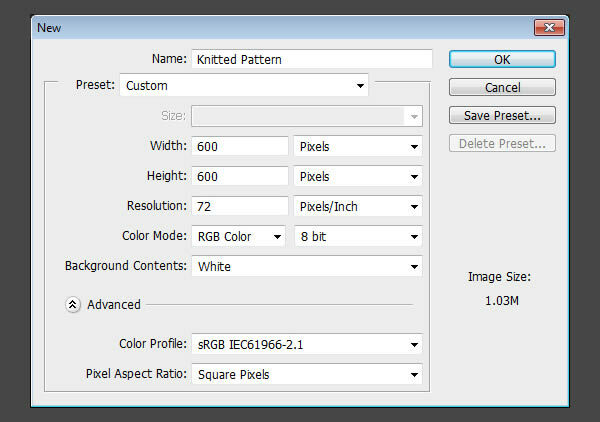 Under the Settings tab, change the color to #6A5136, the Size, pixels to 600, and check the Seamless Tiling box. 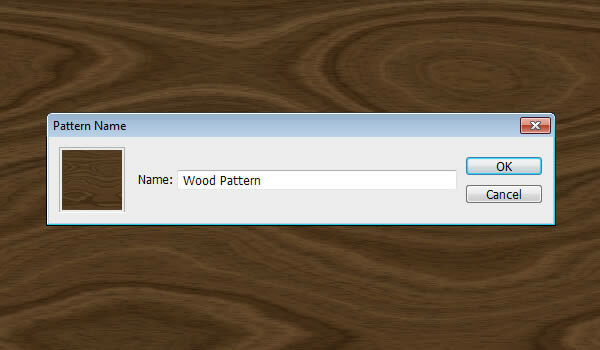 After the filter is applied, go to Edit > Define Pattern and type in a name for the pattern. Close this document and go back to the original one. 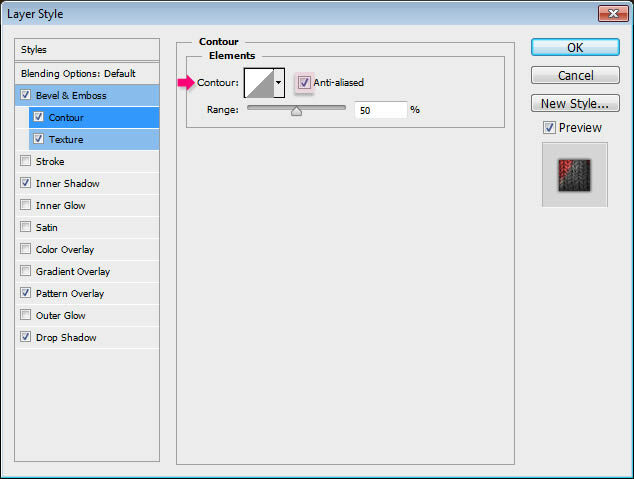 Pick the Rectangle Tool, make sure that the Shape option is active in the Options bar, set the Fill to a light color, and the Stroke to No Color. Click and drag to create a 45 px high rectangle across the document. Bevel and Emboss: Change the Highlight Mode to Soft Light and the Shadow Mode color to #c1c1c1. Contour: Choose the Cone – Inverted contour and check the Anti-aliased box. 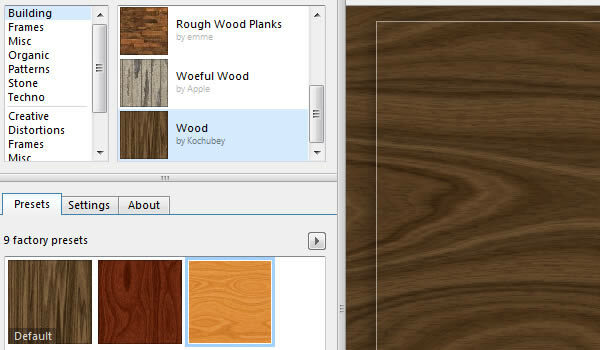 Texture: Choose the Wood Pattern and change the Depth to -127. Color Overlay: Change the Blend Mode to Multiply and the color to #616161. Pattern Overlay: Choose the Wood Pattern. Drop Shadow: Just use the default values. 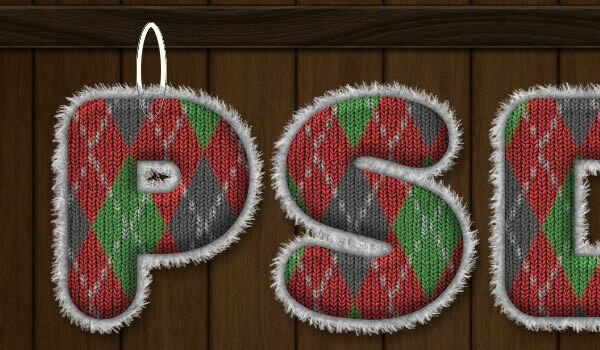 This will create a wooden piece on which the letters are going to be hung next. 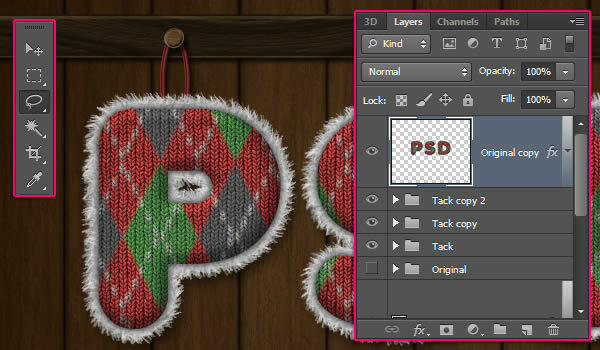 Pick the Ellipse Tool and create a new layer on top of the rectangle shape layer. 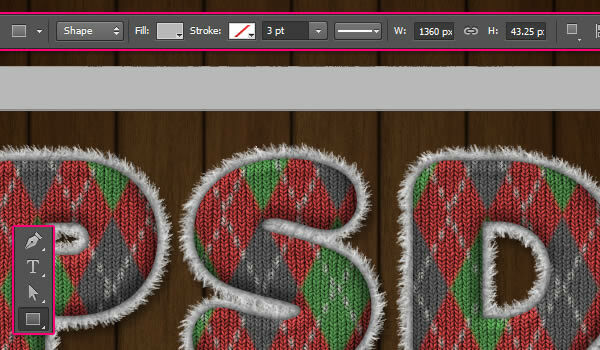 In the Options bar, change the Fill to No Color, the Stroke to a light color, and the Stroke Width to 5 pt. 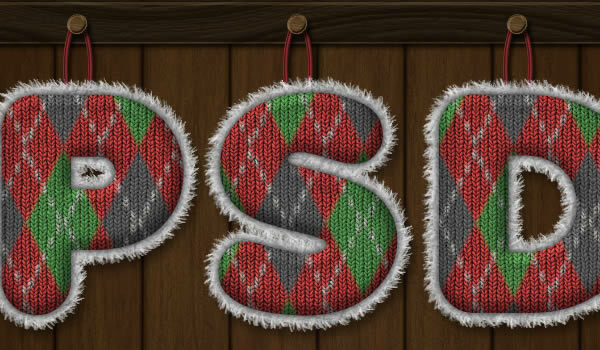 Then, create a 30 x 96 px Ellipse. 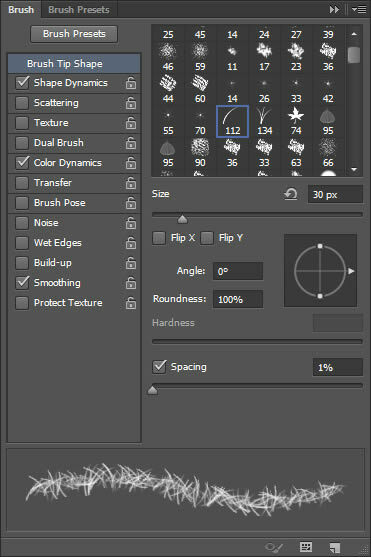 For the previous versions of Photoshop, you can pick the Ellipse Tool, change the Shape option in the Options bar to Path, draw the ellipse, then pick a 5 px hard round brush, and stroke the ellipse path with the brush (the same way you stroked the edges). 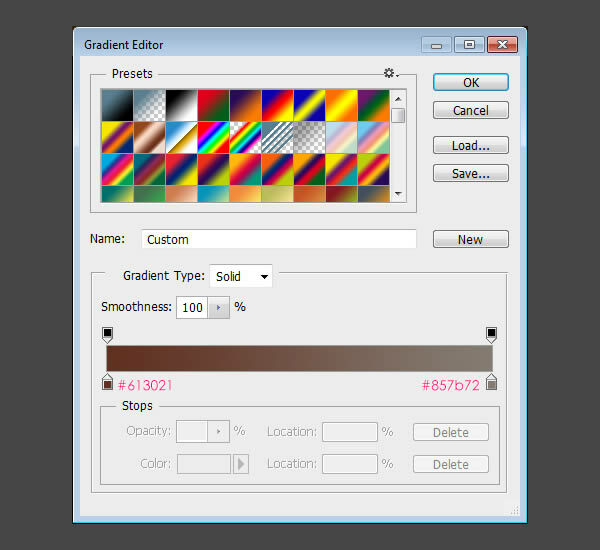 Bevel and Emboss: Change the Highlight Mode to Overlay, and the Shadow Mode color to #696969. Contour: Choose Ring – Double, and check the Anti-aliased box. 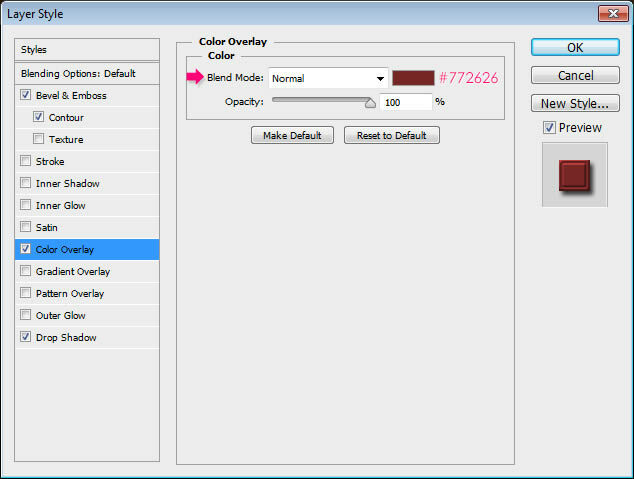 Color Overlay: Choose any color you like. Here, the color used is #772626. Drop Shadow: Use the default values. This will style the hanger. 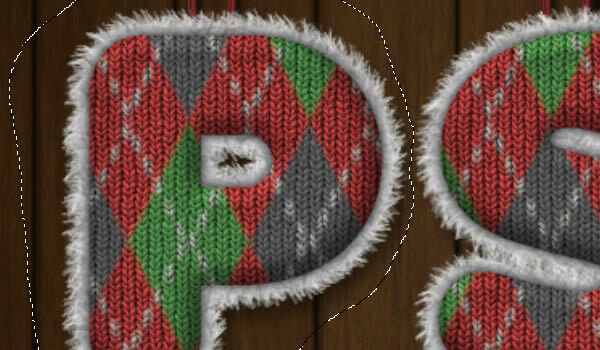 Create a new layer on top of the hanger ellipse layer, and with the Ellipse Tool still active, change the Fill back to a light color and the Stroke to No Color, then create a small 21 x 21 px circle (press and hold the Shift key while creating to get a perfect circle). Contour: Choose Cone – Asymmetrical and check the Anti-aliased box. This will style the tack. Group the two ellipse shape layers and rename the group to “Tack”, then duplicate the “Tack” group so that you have one for each letter of your text. 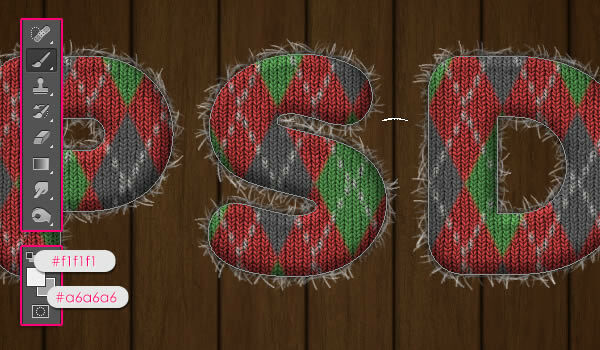 Pick the Move Tool, then select each Tack group and move it behind one of the letters. Move using the right and left arrow keys on the keyboard to keep the tacks aligned. You can press the Shift key with the arrow keys to move in bigger increments. 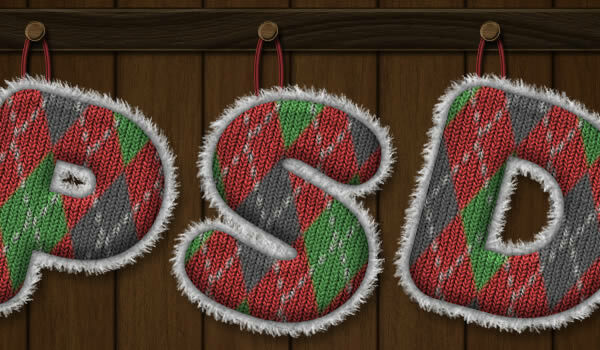 Select the rasterized text layer so that it is the active layer, and pick the Lasso Tool. Draw a selection around the first letter. 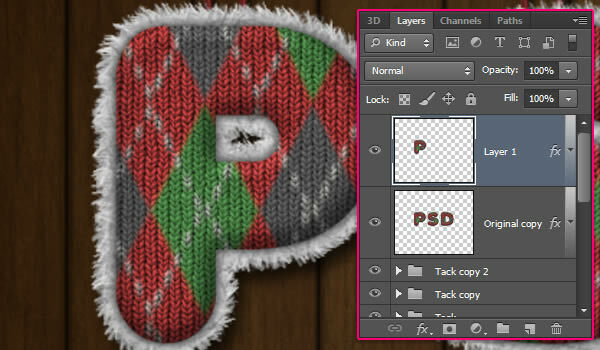 Press Command/Ctrl + J (Layer > New > Layer Via Copy) to duplicate the selected letter in a separate layer. 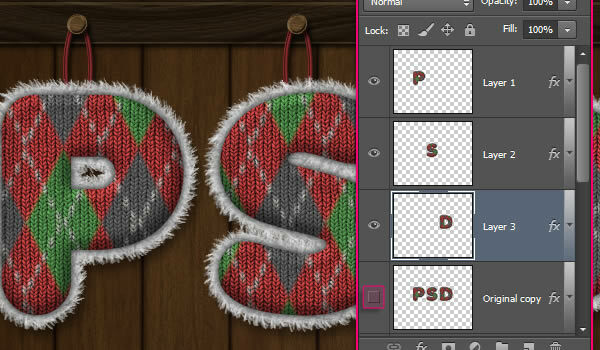 The drop shadow effect will be duplicated as well. 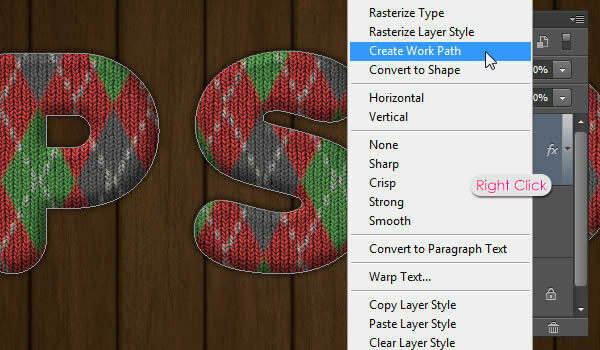 Select the original rasterized text layer once again, and do the same for the remaining letters, so that you have each one in a separate layer. 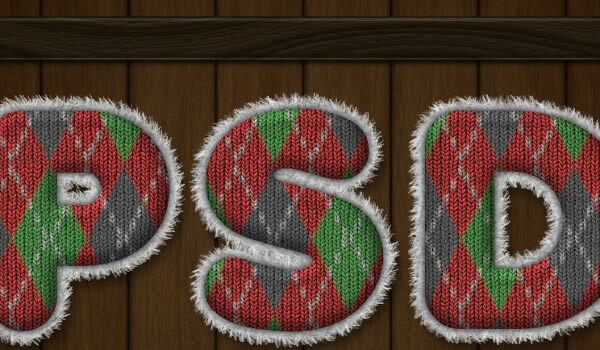 Once you’re done, make the rasterized text layer invisible. 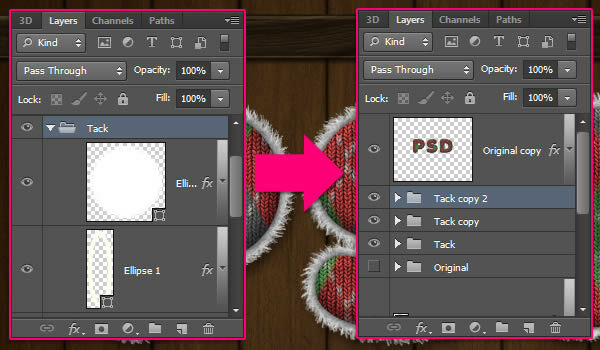 Select the first letter’s layer, then go to Edit > Transform > Rotate. 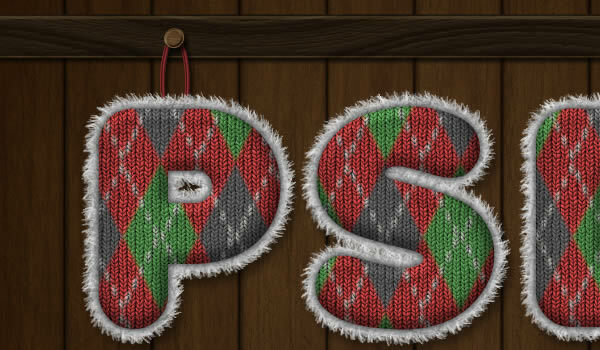 Rotate the letter 15° (if you press and hold the Shift key while rotating, you’ll rotate in 15° increments). Hit Enter/Return to accept the changes you made. Repeat this for the remaining letters. You can then reposition the Tack groups accordingly. 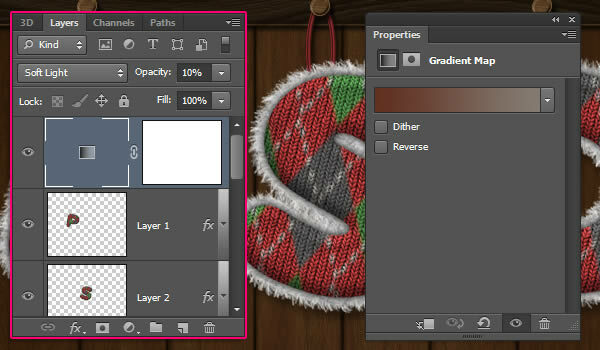 Click the ‘Create new fill or adjustment layer’ icon and choose Gradient Map. 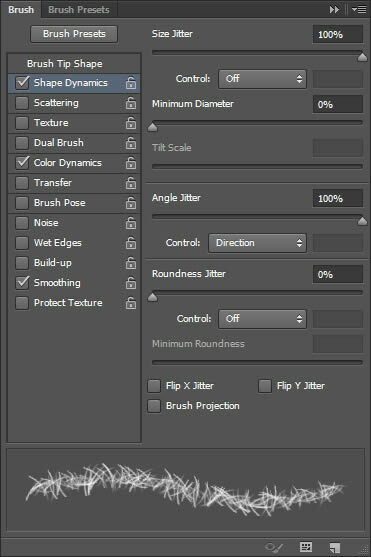 Make sure that the adjustment layer is on top of all layers then change its Blend Mode to Soft Light and its Opacity to 10%. 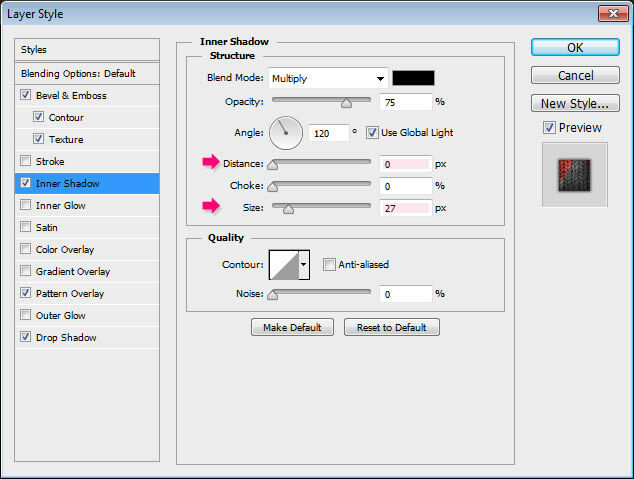 This will help blend the colors of the final result slightly better. The gradient is created using the colors #613021 to the left and #857b72 to the right. And this is the final result. Hope you enjoyed the tutorial and found it useful. Please feel free to leave your comments and suggestions below.